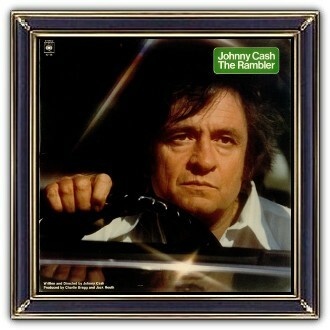 "Stop for Cash - Set aside some time to listen to Johnny Cash's spectacular 'The Rambler' in its entirely. You'll want to hear every note, every word. 'The Rambler' is an entirely new kind of entertainment. It's a story. One that will make you laugh. And feel sad. 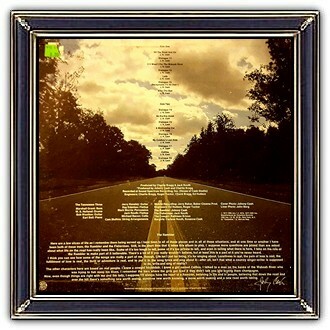 And it is laced with some of the best music of Johnny Cash's career. It's a Johnny Cash spectacular.... a 'Special' on record. We urge you to to hear it as soon as possible." Johnny "J.R." Cash (February 26, 1932 – September 12, 2003) was an American singer-songwriter, guitarist, actor and, author, who was widely considered one of the most influential musicians of the 20th century. Although primarily remembered as a country music icon, his genre-spanning songs and sound embraced rock and roll, rockabilly, blues, folk, and gospel. 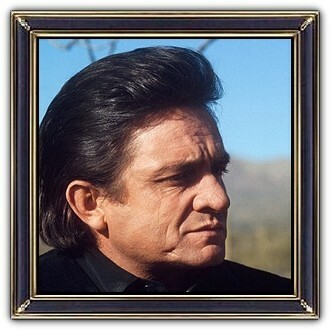 Cash was known for his deep, calm bass-baritone voice, free prison concerts and a trademark look, which earned him the nickname "The Man in Black". 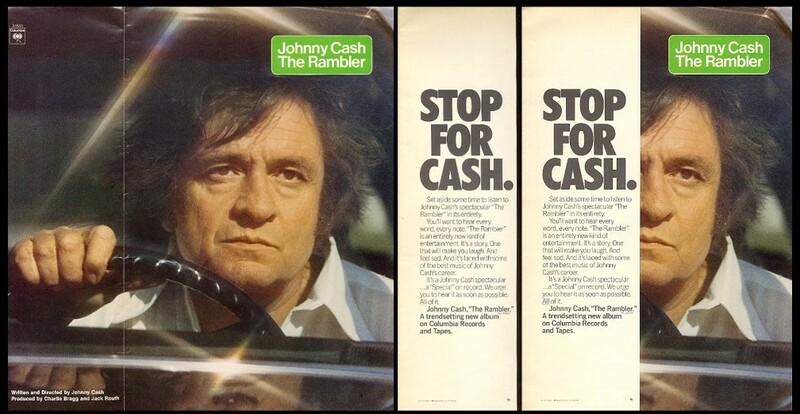 Much of Cash's music echoed themes of sorrow, moral tribulation and redemption, especially in the later stages of his career. His best-known songs included I Walk the Line, Folsom Prison Blues, Ring of Fire, Get Rhythm and Man in Black.